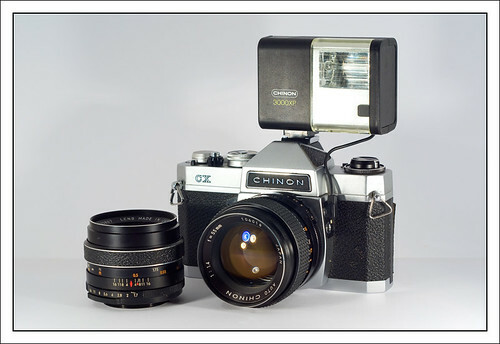 The CX is a Japanese 35mm SLR with 42mm screw-thread lenses, introduced by Chinon in 1974. It is a development of the Chinon CM. 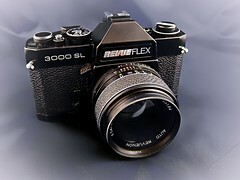 The CX was sold in the USA by Argus as the Argus CR-2, by GAF as the L-CX, and by Foto-Quelle as the Revueflex 2000 CL (chrome) and Revueflex 3000 SL (black). This page was last edited on 3 October 2018, at 05:14.